Our magnificent high vaulted Carriage Barn was built in the 18th Century to house the carriages belonging to the owners of Nether Winchendon House. Situated within the grounds and very close to the house, The Carriage Barn is the perfect place for couples to hold their Wedding Breakfast and to celebrate their love for each other. 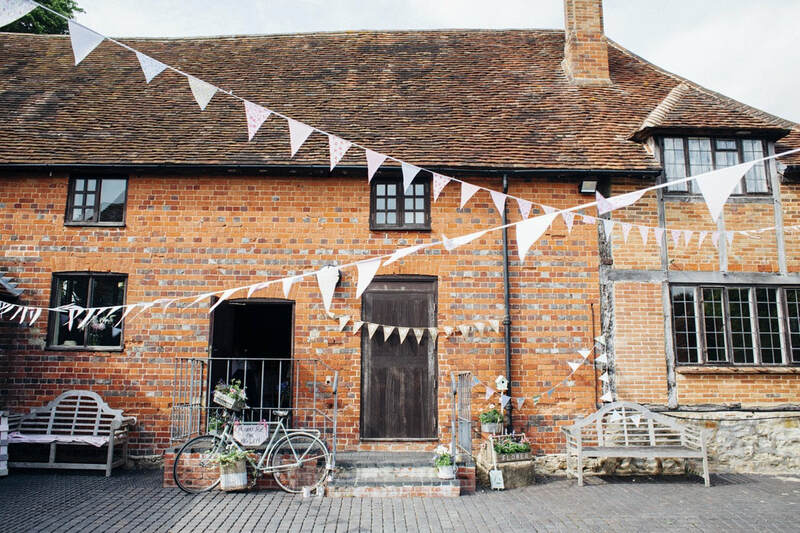 The Carriage Barn is at the heart of Nether Winchendon House Weddings. When you have your Wedding Breakfast at The Carriage Barn, you and your guests will have Exclusive Use of the enchanting, romantic gardens and grounds of Nether Winchendon House for fabulous Wedding Day photographs. The Carriage Barn at Nether Winchendon House is a unique and simply beautiful venue, with its own Bridal Garden and orchard, surrounded by peaceful countryside and with exquisite views. You and your Bridal Party will feel it is truly “yours” for the day. rustic walls and old fashioned English flowers. An enchanting location for a Marquee Wedding is The East Lawn, surrounded by rustic walls and old fashioned English flowers.The Walled Garden is smaller and more intimate and particularly suitable for weddings in the winter months. The South Lawn runs down to the River Thame and a marquee in this location has views across the landscape of the Estate.